Dent-ED-Online was founded in 1996 by dental educators whose mission is to provide advanced education opportunities to dental professionals utilizing online, streaming video and DVD presentations as well as traditional lecture formats. All Dent-ED-Online education specialists are licensed dental professionals holding memberships in the American Dental Association, The American Dental Hygienists' Association, or the American Dental Assistant's Association. 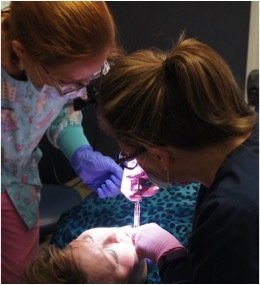 Dent-ED-Online offers Tennessee Board of Dentistry approved certification courses that train dental hygienists and assistants to assume new professional roles and also offers courses that help dental professionals improve existing skills while fulfilling CE requirements.